A whopping 75% of industry leaders believe that 3D printing will become standard within the defence industry within the next 10 years, according to a study by Defence IQ. Clearly, as in other industries, 3D printing is making its case within defence and military fields. Additive manufacturing has the potential to transform the defence industry, providing new ways to 3D print replacement parts on demand, whilst reducing production costs and enabling new design engineering possibilities. As we continue to explore the impact of additive manufacturing on various industries, today we’ll take a look at how the defence industry has embraced 3D printing, and the opportunities the technology provides military sectors. We’ll also outline the challenges for wider adoption of the technology, as well as future applications in the sector. Additive manufacturing can unlock a sea of opportunities for the defence industry, not least reduced production costs for tools and components, additional design flexibility and localised manufacturing. At the same time, additive manufacturing can considerably enhance the maintenance of military systems through the production of spare or obsolete parts. The defence industry is among the main contributors to the continued development of AM technologies and materials. The proposed US military budget for this year, for example, includes a $13.2 billion investment into technology innovation. This includes added support for additive manufacturing within the Department of Defence, a clear indicator of the growing interest in the capabilities of 3D printing for defence applications. Additive manufacturing significantly speeds up the design process, since it requires no tooling. In contrast, traditional manufacturing can take months to produce the necessary tools to create end parts and prototypes. 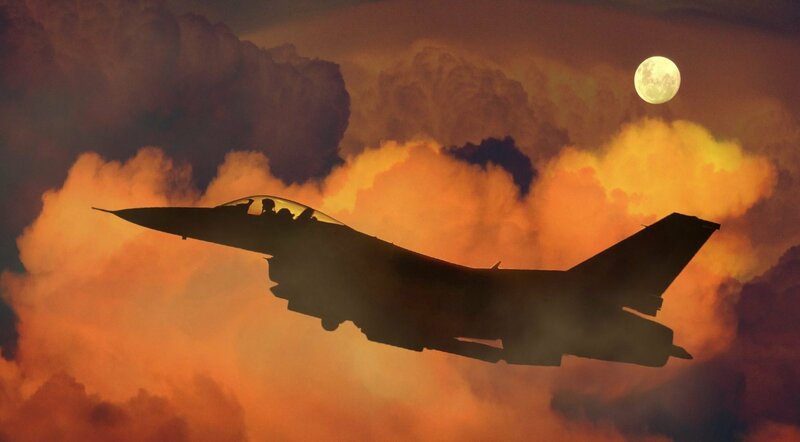 The defence industry can therefore take advantage of the technology to bypass costly and time-consuming tooling, thereby reducing the time required for product development. The defence industry can also capitalise on the ability of 3D printing to produce freeform, optimised objects. This means that the weight of a part can be significantly reduced using additive manufacturing, saving material costs and production time. Leveraging advanced design tools, design engineers can reduce the number of components in an assembly to just one, and thus greatly simplify the assembly process. Not only does 3D printing allow for more design freedom, but it also offers the opportunity to create customised parts, tailored for specific functions. Rather than carry parts and pieces for all possible configurations, soldiers can use 3D printing systems to manufacture parts on demand. For example, researchers in the US Army can now 3D print customised drone airframes tailored to the specific needs of a given mission. Customisable 3D printable designs are therefore vital to achieving greater levels of agility and flexibility within the military. Coordinating logistics and transportation makes up a significant part of any military budget. For an industry that spends billions of dollars on logistics alone (the US Department of Defence DoD, for example, was estimated to have spent $1.194 billion on logistics operations in 2017), it may prove to be more cost-effective to print custom parts, tools and spare parts near the point of use – a solution that additive manufacturing provides. This could mean that soldiers in remote areas can also use 3D printing totheir advantage. This has already be tested to some extent: back in 2012, the US army used an additive manufacturing facility in Afghanistan to print spare parts much more quickly than procuring them. Additive manufacturing is an ideal solution for creating quick concept models and prototypes, and it is widely used in the defence industry to rapidly produce prototypes without the need for expensive tooling. Design concepts, as well as validation testing, can be done much faster, thereby shortening the product development cycle. 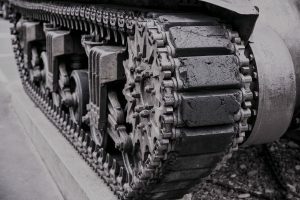 As military equipment is typically kept and used over a period of many years, the defence industry relies heavily on spare and replacement parts. For years, outsourcing has been the most common way to procure these parts, with thousands of replacement parts and tools for military equipment sourced from external companies. Here, additive manufacturing becomes a viable option, as it facilitates the cost-effective and relatively quick production of parts and tools on demand. Many ships in the US Navy have 3D printers on board that are used for replacement parts, helping to maintain the aging fleet without having to order a spare part or to return to a port. Furthermore, technologies like Direct Energy Deposition (DED) and Wire Arc Additive Manufacturing (WAAM) are already widely used to repair functional military equipment. Thanks to these technologies, worn surfaces of turbine blades and other high-end equipment can be restored and repaired. As replacement parts can quickly run out of stock, 3D scanning techniques can be used to reverse engineer an available part, which then can be easily replicated via 3D printing. The first fighter with 3D-printed components onboard took flight in 2013, and since then, it’s clear that additive manufacturing can make a significant impact in the production of end parts for military equipment. The defence industry is currently investigating the capabilities of direct additive manufacturing even more extensively, as the technology can help reduce production costs while producing complex lightweight components in small volumes. The applications of additive manufacturing here vary, from complex brackets and small surveillance drones, to jet engine components and submarine hulls. In addition to this, 3D printed weapons like grenade launchers are already reality, with missiles under development. Although military prototypes can be 3D printed quickly and cheaply, wider implementation of additive manufacturing for the production of end parts still faces a number of challenges. One of the main concerns for the defence industry is quality assurance, as all parts must adhere to stringent performance requirements. Before additive manufacturing can be further integrated into the production of end parts, the military must be assured of the repeatability and accuracy of the AM production process. Currently there are no fully defined industry standards for 3D printed parts in the defence industry. It is crucial to establish a comprehensive set of standards to govern 3D printing processes and qualify printed parts. However, the US Department of Defence has already developed an additive manufacturing roadmap, which is set to enable even larger uptake of the technology within the military. Automation software will also be vital in ensuring that this process remains transparent and repeatable and provide a comprehensive production management. Although additive manufacturing has been used within the defence industry for a number of years, as in other industries, there remains an AM skills gap. This skills shortage stands in the way of unleashing the full potential of 3D printing for military use. Further training in the particularities of AM production, designing for AM, maintenance and supply chain management will be necessary to push forward the use wider use of additive manufacturing within the military. If the military is to use additive manufacturing for on-demand, localised production, it will be vital to ensure the security of the digital CAD files. This will require additional digital security measures to ensure files cannot be accessed externally, and digital supply chains remain secure. As 3D printing has the potential to fundamentally change how parts are manufactured and delivered, this may have enormous implications for the future of the military supply chain. Instead of defence contractors supplying spare parts, structural components or weapons, they could, in future, provide only digital 3D CAD models, creating digital supply chain. There could also be fewer inventories for spare parts, reducing the need for costly warehouse expenditure. On-demand manufacturing can also move production closer to the battlefield or to the place of need. Leveraging localised 3D printing facilities can speed up delivery of parts, cutting down logistics costs. Additive manufacturing can also play a key role in the military medical sector by providing customised implants, prosthetics and medical tooling in the field. The military is already a significant investor in regenerative medicine and bioprinting with the aim being to treat battlefield injuries. The defence industry is also investigating the possibilities of 3D printed garments and embedded electronics. 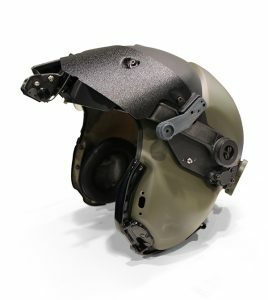 Additive manufacturing could allow the defence industry to produce less expensive and more advanced, customised armour with built-in communications, sensors and bio-monitoring systems for soldiers, providing more flexibility and functionality in the battlefield. By using ink-jet 3D printing and conductive inks, military engineers could print sensors directly onto weapons or clothing, adding more functionality while reducing the size and weight of wearable sensors. In future, sensors could even be printed directly on skin. Soldiers could use these in the battlefield to capture solar energy and charge small electronic devices. In an increasingly complex military landscape, 3D printing has the potential to meet key defence needs. Rapid, localised and flexible manufacturing capabilities offered by additive manufacturing make it an ideal technology for an industry that relies on quick innovation and technological advancements. In the long run, additive manufacturing will enable military systems and equipment to be manufactured, repaired and maintained more efficiently and lead to an unprecedented shift in logistics and military supply chains. 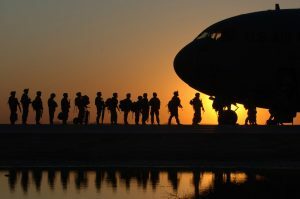 With considerable investment being made to develop and certify 3D printing processes and materials, the future of 3D printing for global militaries certainly looks bright.